May Tampa Bay Fishing Report And What Is Biting! 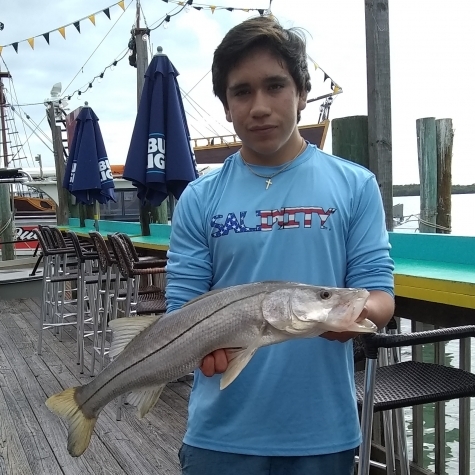 The snook action around the beaches and passes has been really good. They are moving in big numbers to the beaches to get ready to spawn and are hungry. The best time will either be during the daytime or night time. I recommend using 60lb Bullbuster leader to get these big breeder fish quickly and not tiring the fish out. The Tarpon action still remains good in Tampa Bay with lots of fish being caught the past few days around the beaches of Tampa Bay. The best bait for Tarpon is a large greenback, pinfish, or pass crab. The snapper fishing around the Rocky areas of passes and bridges has been really good targeting mangrove snapper. Look for these fish in the Rocky areas and during the clear incoming tide. Offshore, the Hog Fish bite is on fire with tons of hogs being caught. The best bait for them is either crabs or shrimp using a knocker rig. Using light tackle is really fun and they put up a good fight when targeting the hog fish. Gag Grouper and Red Snapper seasoning opens up June 1st and I'm looking forward to that. Also inshore the redfish and blackdrum bite is still good. Look for these fish around the bridges, docks, or flats. The best bait is either a small pass crab or shrimp free lined.